Please join us for a special Mother's Day High Tea at $59 per person. Our overall experience was good. I felt my salmon was a bit well done and the accompaniments a bit heavy but all together our experience was nice. The service was wonderful and I love the options when dinning with children. Thank You for a nice evening. The Easter high tea was fabulous. The service was exceptional. 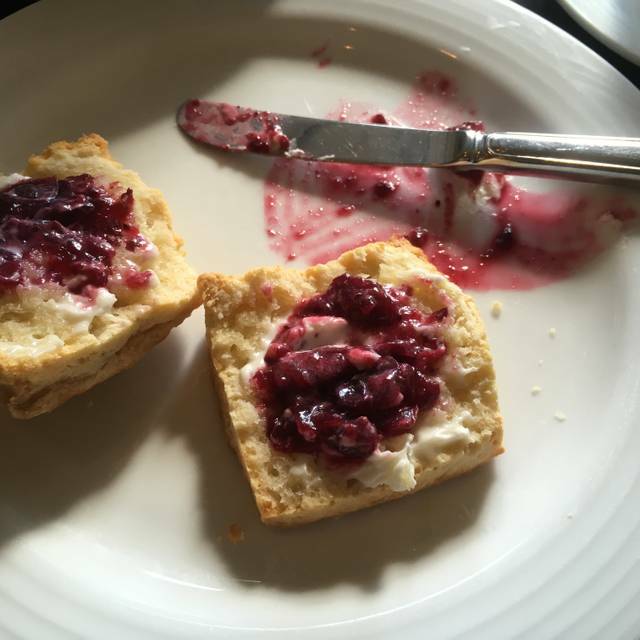 My daughter enjoyed the fresh baked scones, Devonshire cream and berry compote. The sorbet with the mint caviar was so refreshing. I’m dreaming about it now. 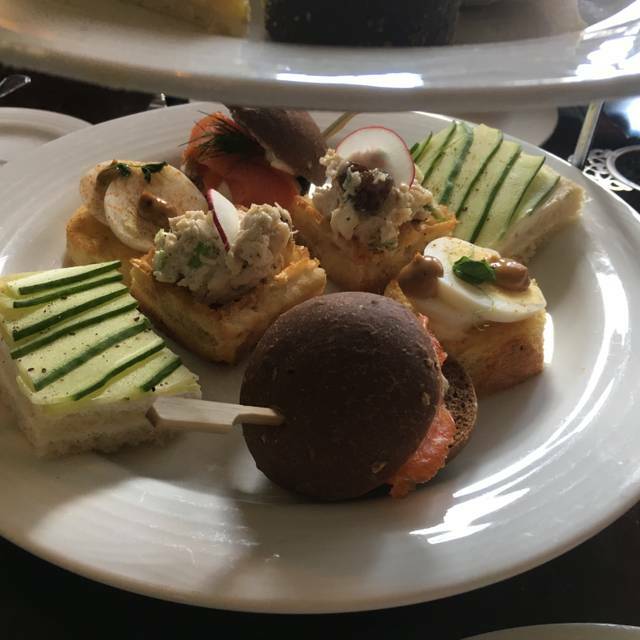 Tea sandwiches and decadent desserts were beautifully designed. The pastry chef made and extra Easter surprise for us and we were delighted. The staff went above and beyond. Thank you to Douglas our server and all the other staff for making our Easter so special. 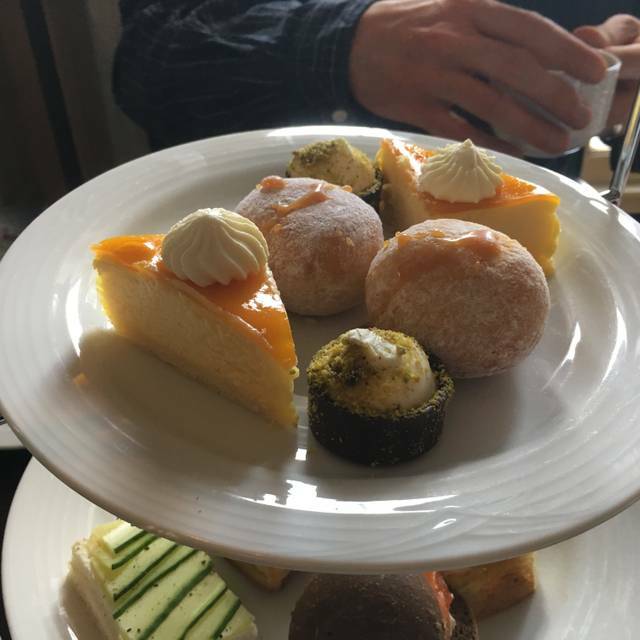 We love high tea and will be back again. The dining experience was enjoyable and the food was very tasty. The food and service is always amazing. Totally worth the price! Impressive experience. Much better than I hoped for. A great way to celebrate my mom's birthday. Very friendly server!! The staff were friendly and accommodated our parties' dietary needs and allergies. I highly recommend this unique experience. Excellent service, didn’t judge us because we used a groupon. The seafood risotto was amazing, steak was ok, every other time I went the steak was amazing though. Regardless high finish experience with good food overall. 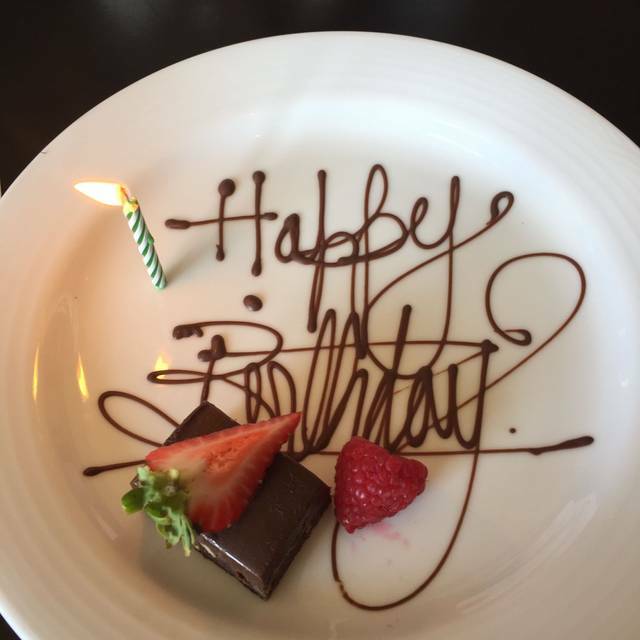 Nice touch, though giving our birthday friend a red velvet cake slice. She was FULL and had to take it with her. Food and service have gone WAY down hill in the past few years. No longer worth the high price. Showed up early and enjoyed a predinner drink at the bar. The host cane and brought us in on time and reviewed the menu. Although pricey the appetizers were top notch. Wife had a green salad and I had the scallops. Both were done up nice, presentation was great and the taste matched. Our waiter wasted no time recommending the tenderloin and it was easily the best piece of beef I have had in my adult life. It was how tenderloin should be. Cooked and seasoned perfectly. The meat was so tender. The desserts were nice. Wife had the chocolate crunch which was a little rich for me and I had chocolate sponge cake with caramel and Ice cream and it was a great blend. We had a scheduled event after supper and our waiter was able to accommodate our slight rush getting out food out. Overall a great experience. No rush to eat. Would estimate 1.5-2 hrs for a full meal. The room does get a bit loud at time but the view is great and the seating isn’t cramped. The food really does make up for any downfalls. Such a wonderful thing to do for a special occasion!! The food is delicious. Nicely presented. Perhaps price for mains a little steep but quality was definately there. Room is small and cozy. Fully enjoyed the dinner. Server Dew Johny was very professional. Amazing food, amazing service. Highly recommended! Fabulous as always. Jacob is attentative and efficient not to mention fun! Took my mom to the Harvest Room for her 65th birthday and had an amazing time. Service was prompt, friendly, and welcoming. I couldn't have asked for a better experience. Thank you to all the staff. This is a great restaurant for a nice quiet dinner, end of the day unwind. The service was fantastic. The food was good, but a bit bland for my liking. Overall, the evening turned out wonderfully and our waitress was amazing. As much as you think you are getting top end service and luxury at the Hotel MacDonald...the Ol' Girl is tired! This hotel is in bad need of an update. Once I got over the disappointment of not having a view of the river valley, I was pleased at least that we had a friendly, polite server that tended to us with great care. However, as the Sunday evening wore on....you could clearly see that they were understaffed. With it being Downtown Dining week in Edmonton, you would think they would have had more waiters/servers in for the supper rush. After all, you have to make a reservation to eat there. When you dine in a high end hotel/restaurant such as this you do not expect to see your waiter arrive "out of breathe" and with beads of sweat on his brow. Dining should be calm and carefree. At the finish, we had to wait close to 30 minutes for our bill. I don't think we will be back, as there are many other high end restaurants that are happy to take our money in a timely manner. 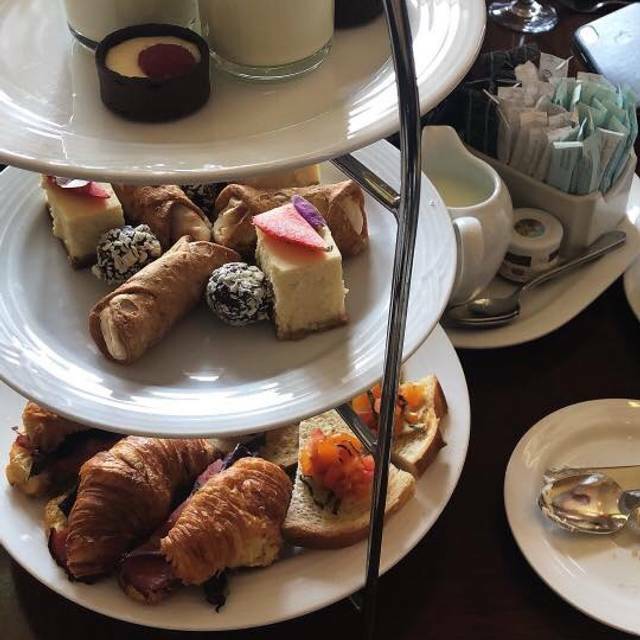 Was a lovely new experience attending the High Tea. Very filling, and lots of desserts ! We have been to the Harveat room in the past. So this was not our first time dining with you. We were really disappointed with our meal. We were taking part in the Edmonton dining week. We had the short ribs and I have had them before in the harvest room and they were difenately not the same standard. They were on the tough side and I would say a little dry. We were not giving a choice on our desert as the menu said. We had the lemon cake with pair on it and it was very disappointing. Dry. The table next to us was very noisy that my husband and I could not hear each other across the table. Lovely tea! The scones were scrummy!! That’s scrumptious and yummy!! Great food. Great staff. Awesome atmosphere. Highly recommend!!! Excellent service from Ivan and the entire staff. Treated very. The food was very good but portion could be a little more for the price. What a beautiful and special place.....remarkable hotel and beautiful dining room. The food was great but very pricey for what was offered. The service was overbearing which is a nice problem to have except when you're enjoying a romantic evening with your partner. It was alright, the service was great! But for the price I don't really think you get what you're paying for. I thought there would be a lot more sandwiches and food selection. Was a little disappointed in that aspect. Service was great, Tour was good. Happy you guys did a little something for my friend since it was her birthday, was also very happy you could accommodate my friend who was vegan. I come a lot in the summer and sit on the terrace for mussels and beer. 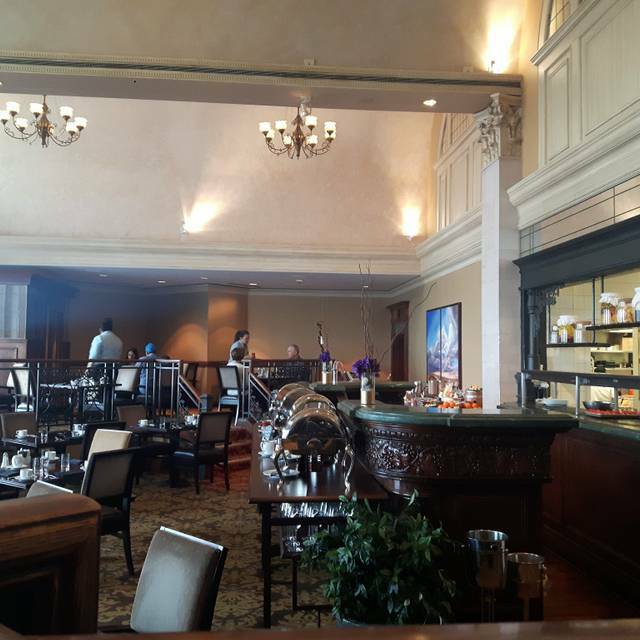 I always recommend the lounge and will always come back, not sure if I would come back for high tea specifically. All in all my friends and I enjoyed ourselves. We booked the Harvest room but since it was not available we were in the confederation lounge. The value for money was not equal to the express lunch nor the buffet that the Harvest Room has. We book the Harvest Room yearly at Teacher’s convention as a great once a year lunch with old friends. We were placed in a very dark part of the lounge. We like the Harvest room for the big bright windows and views. Also it was very loud for catch up conversation. The food was tasty but again it was an incredibly expensive lunch for what we got. It was not our usual wonderful yearly experience. We will have to consider if this is our lunch place of choice again next year. Although the food did not shine at Harvest Room, which has been my experience in Edmonton in general, the Sunday Brunch at Fairmont is good. The service at Harvest Room is great. As my server was not around Jerome who manages dining took care of me. His caring of the customer experience is second to none. I am looking forward to visiting again and for experiencing great customer service from Jerome. Excellent service and very good food. We each had the 3 course meal for $69. 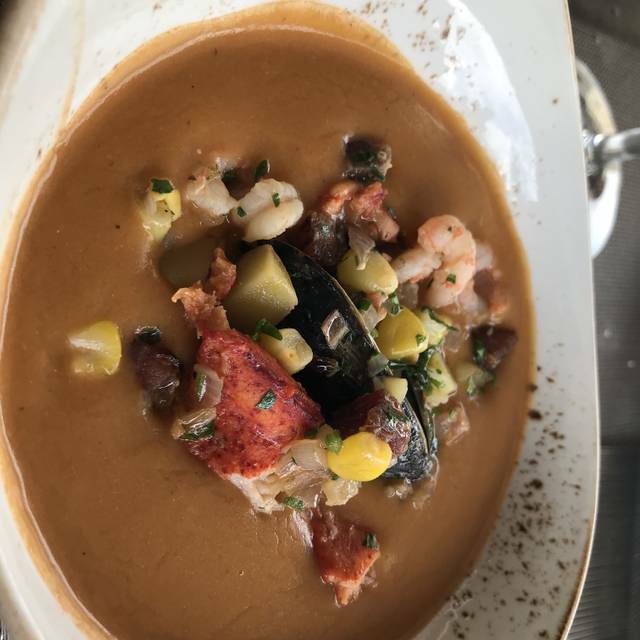 The clam chowder was fantastic. 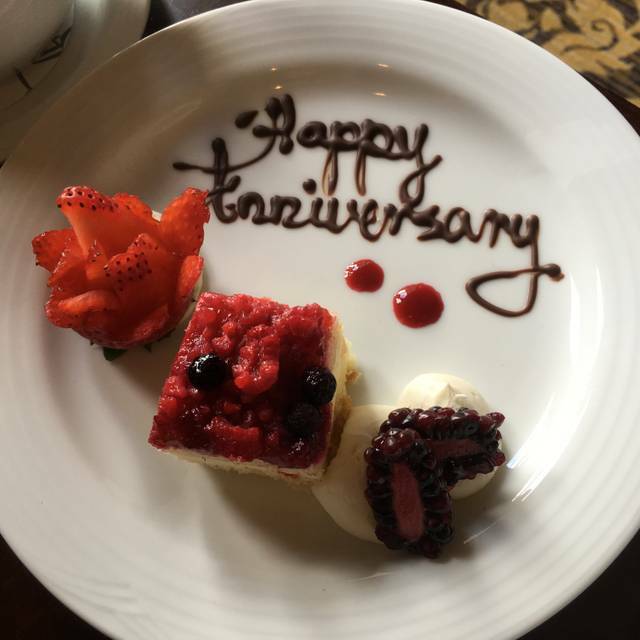 Also, we were there for our anniversary and were treated to a very nice dessert and a drink. Great staff! Awesome as always. Never disappoints us. Tea here is always a success! Our waiter was fantastic! Friendly, and a good sales man! The wings we had in the confederation lounge though were amazing!! Jacob is an outstanding server. We love to come every once in awhile. Most savoury breakfast buffet in Edmonton. Everything is made fresh and I suspect from organic produce. Excellent. Server was friendly and efficient and she was very helpful. Liked the tour too. Nice added bonus. It was my very first time bribing my girlfriend to the Harvest room for a Valentine's day experience. 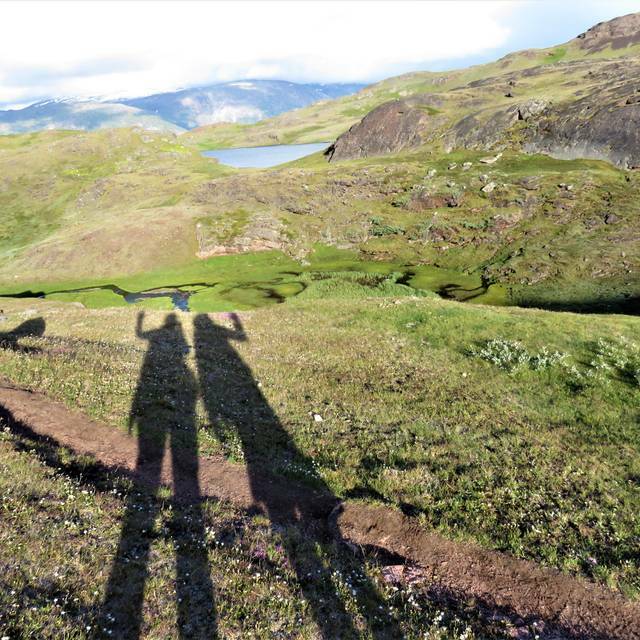 I could be have asked for a better experience than what we had. Our server Michelle was amazing. I can't say enough good things about how attention to detail she was and on the ball. She made us laugh and made this an experience we want to have again. If your ever in the Harvest room and get to be served by her, you are in for a treat she will treat you like family and make sure you are happy. The food was amazing, the your was pretty interesting. The staff in the hotel are also all super nice and acconidating. All in all, I would tell anyone and everyone to go have a dining experience here! !